What do you get if you mix people from USA, England and Germany? Eden´s Curse. Yes, this is a great newcomer with members from various countries. 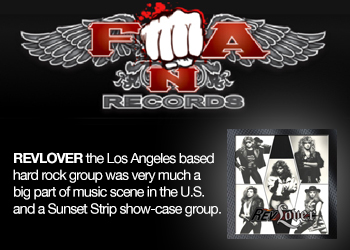 The band was formed by ex. Cry Havoc bass player Paul Logue, singer Michael Eden and drummer Pete Newdeck(The Steve Grimmett Band). 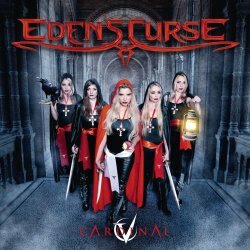 These 3 joined forces with former Demon Driver and Attack guitarist Thorsten Koehne and Ferdy Doernberg of Axel Rudi Pell on keyboards to form Eden´s Curse. Who would give this band a huge and perfect sound if not the brilliant Dennis Ward(Pink Cream 69). 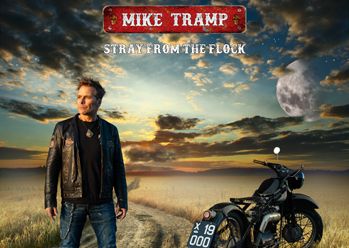 Yes, he has come up with a powerful and huge sound for this album and most of the songs on the album has been co-written by Carsten “Lizard” Schulz(Evidence One, Midnite Club). 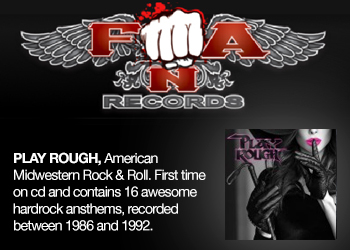 This is a album filled with 14 pure melodic hardrock songs in the same vein as Frontline, Pink Cream 69 and Cornerstone. The background vocals on the album is powerful and huge and you will find guys such as Doogie White(Cornerstone), Carsten Schulz and Dennis Readman(Pink Cream 69) sing their hearts out. The only problem with this album is that many of the songs sounds very much the same. Eyes Of The World could have come from a Frontline album, great song filled with layers melodies and hooklines. The Voice Inside is a huge ballad with a brilliant chorus and listen to Michael Eden how damn good he sings on this one and like he does on the whole album, this man know what he does. After The Love Is Gone is a brilliant rocker with a strong chorus. Fly Away starts very heavy but has a fantastic and melodic chorus in the best Pink Cream 69 style. Heaven Touch Me is another strong song with great riffs and catchy hooks that builds up this song to a powerful chorus with top-notch background vocals. This is a album you don´t have to hesitate to buy because it´s filled with high quality melodic hardrock with a huge sound. Ok, some of the songs sound the same but they are still very good. The grade is a very strong 3.5 and it´s not far away from 4 stars. 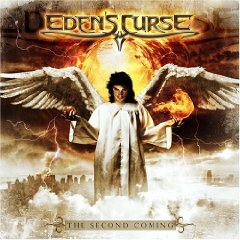 When you see Dennis Ward´s name of a album it can´t be a bad sign, so get cursed by Eden´s Curse. This album is brillant. It truly deserves to take these guys to new heights. Lets hope that they tour the world. I'll be there! !